Bears are absolutely amazing in so many ways! From their incredible sense of smell, phenomenal intellect, all the way to their ability to sleep through winter... bears simply take the cake! Actually, sometimes it's their fondness of taking cake (or hot dogs or Twinkies® or...) that get them into trouble! Part of our job isn't just knowing what's fun or cool about bears, it's knowing how to keep them from getting into trouble! The Language of Bears Bears are amazingly powerful and awe-inspiring animals, they’re also incredibly intelligent. When they don’t like what we are doing they talk to us, learn to hear what they’re saying. Bear Tales Throw aside your thinking cap and join in on a casual conversation about some amazing bears and their real-life adventures. It's sure to leave you smiling and with a deeper understanding of these curious creatures. Super Sleepers Dive into the world of black bear hibernation and find out why bears are not true hibernators, rather they are the world’s greatest sleepers! Bears in Your Backyard Want to learn how to peacefully coexist with bears in bear country? It’s simple... all you have to do is A.S.K.! 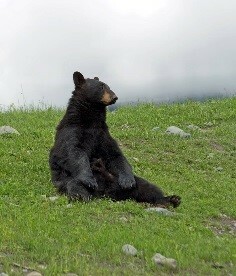 Problem People, Not Problem Bears Bears have one major problem...People. Find out how our actions make a bear's life so much more difficult, and unfortunately, often much shorter. 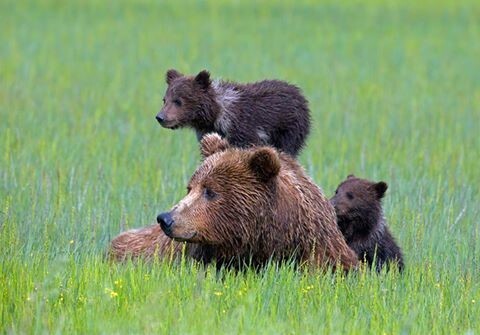 The Three Bears Brown, Black and Polar: A closer look at North America’s three species of bears. Polar Bears Learn about North America's only true carnivorous bear...the polar bear. Find out how amazing adaptations allow him to live in one of the most inhospitable environments in the world. 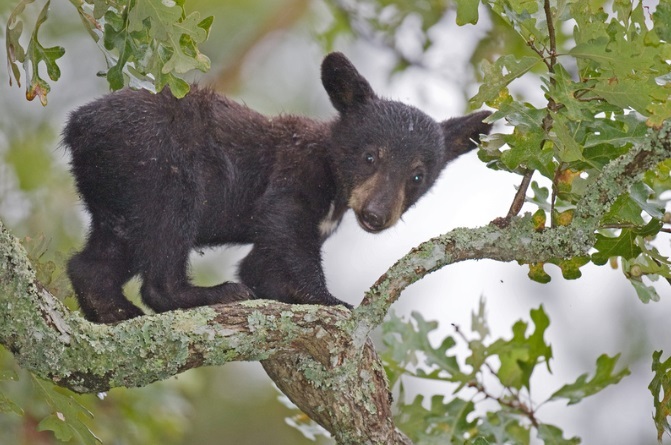 A Cub's Life Follow the trail of a wild black bear cub from its dark and quiet world in the den to the rough and tumble world of becoming a grown and independent young bear. Bear Encounters of the Worst Kind Delve into the rare and unfortunate events of when bears attack. Sometimes bears go bad...find out why and ways to avoid these potentially dangerous situations. Lions and Hikers and Bears, Oh My! A bear's sense of smell is amazing; it can smell beans cooking over a campfire from miles away!